Hello everyone! 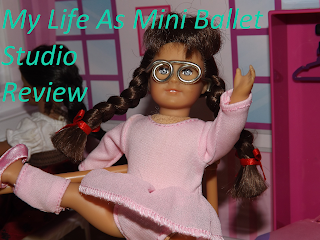 Today I'll be reviewing the My Life As Mini Ballet Studio I got from my brother for my birthday (Thanks brother!). You'll also see the mini dolls that entered the family this holiday season! So let's get to it! Let's start with the Ballet Studio. The Ballet Studio is made of a thick, sturdy plastic. The floor clicks into the back wall of the studio and the side walls you just push into the floor. And the back is detailed white plastic. The purple roof is detailed to look like wood and roof tiles, there's also a molded on sign with a sticker on it that says "Ballet Studio". There's a little handle on top because it turns into a carrying case! 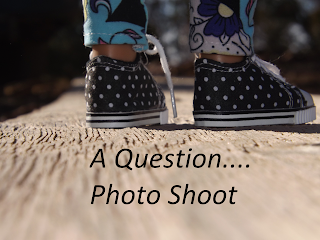 But in order to ask you, I kinda have to show you. But I'll only show you if you promise not to laugh! PROMISE?!?!? Ok, . . . . . . . . . . . . . . . . . . .
My weird human Katie... Re-wigged me.